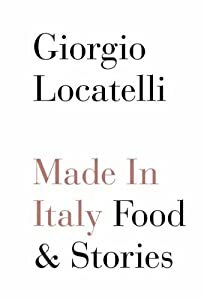 Among the wonderful presents I’ve received this Christmas is ‘Antonio Carluccio‘s Italia’, one of those cookery books you can read after eating a five course meal and it makes you feel so hungry that you could eat said meal all over again. It’s truly stunning. Anyway, as of next week, I will be happy at home with a full fridge and heaving cupboards, and I will share some of the recipes in this book. I am an advocate of all things organic, and I also love to support local farmers and food suppliers, even if it costs me that little bit more. It is so incredibly important in these days of multinational fast food business, and the alarming rise in obesity and its related health issues. The number of children I see, from day to day, clutching huge bags of sweets, or cheap plastic toys which they got with their Happy Meals, makes me fume, and want to weep, in equal measure. 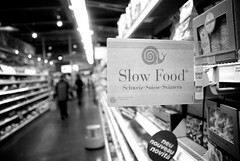 This is why I love the Slow Food movement. It was founded in Italy, as a protest to the insidious encroachment of fast food businesses, and it actively promotes the sustenance of organic farming, including the promotion of local culinary traditions, organic farming, education, and seed banks to preserve heirloom varieties. There are now over 100,000 members worldwide, which is fantastic, but also not enough. Please, if you have the time and the inclination, click on the link and take a look at the fantastic work they do.